Which fabric should I use? Each material has strong points and weak points. As far as costs go 100% wool is by far the most expensive fabric with 100% polyester being the least expensive by comparison. However, cost per yard is not necessarily the rule when determining “cost”. Your schools performance schedule as well as climate and budget should all be factored in when choosing your material. Many times we hear the mistaken notion that you don’t want trouser wool because it is too hot and the polyester would be cooler. In fact, the wool allows for better air transfer “breathing” – than polyester. You can also purchase different weights of each type of material, throwing another variable into your equation. 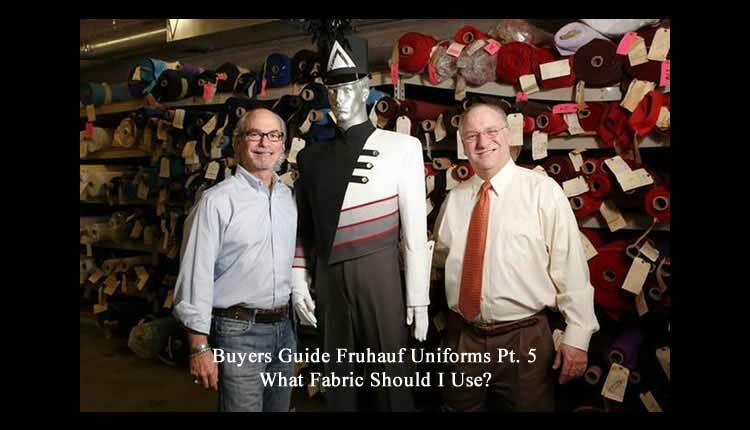 Your fabric decision should be made only after extensive consultation with your uniform representative. How much will new uniforms cost? How does quantity affect pricing?